REVIEW - Lifeless Planet - Use a Potion! 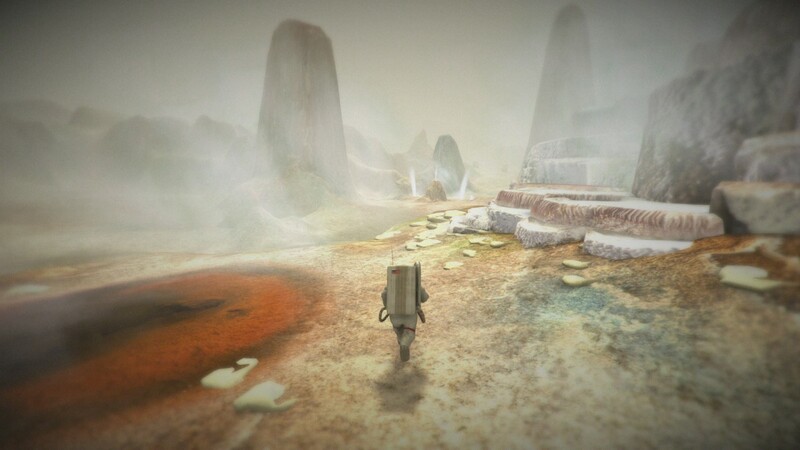 I’ve been interested in Lifeless Planet since the Kickstarter campaign initially caught my eye back in 2011. There was something about the vibe of the game that appealed to me: a lone astronaut on a desolate planet, unravelling its many mysteries. It really had that feeling of a classic sci-fi movie. The Kickstarter campaign was a success, achieving its target within 24 hours, and the game launched in March 2014. I actually skipped the PC release of the game and instead opted to play the Xbox One release of Lifeless Planet, dubbed the ‘Premier Edition’. I went into the game with an expectation on the feel of the game, but without knowing truly how it played. Was it a pleasant experience, or did the game feel as lifeless as the planet itself? The game opens with the main character crash landing on the planet. The planet was supposed to be rich with life, but instead a barren wasteland lay before him. He begins to look for the rest of his crewmates who were meant to have landed on the planet, but instead uncovered signs of human settlements on the planet. Of course, the mysteries continue to unfold with deadly life forms on the planet along with a strange Russian woman, unknown to be friend or foe, who seems to be able to survive on the planet’s hostile surface. There’s also the mysterious hallucinations the main character has – are these the work of the planet or does the main character have a troubled state of mind? The story isn’t too complicated, but it serves its purpose. It’s a throw back to classic sci-fi stories and it’s effective. There’s enough mystery on the planet to keep you intrigued and guessing you may uncover next, along with collectible logs that give you a bit more detail about the back story of the planet and how previous events had unfolded. The game does keep you engaged – from the mysterious start to the satisfying ending, you keep discovering more and more about what has actually happened on the planet and its relationship to Earth. My only real issue is how sometimes the cut scenes can seem a bit nonsensical – especially towards the back end of the game. Things will happen without much explanation, requiring the main character’s following narrative to actually work out what happened. It doesn’t ruin the story by any means, but a bit more structure would have some of the later sections of the game a bit less convoluted. 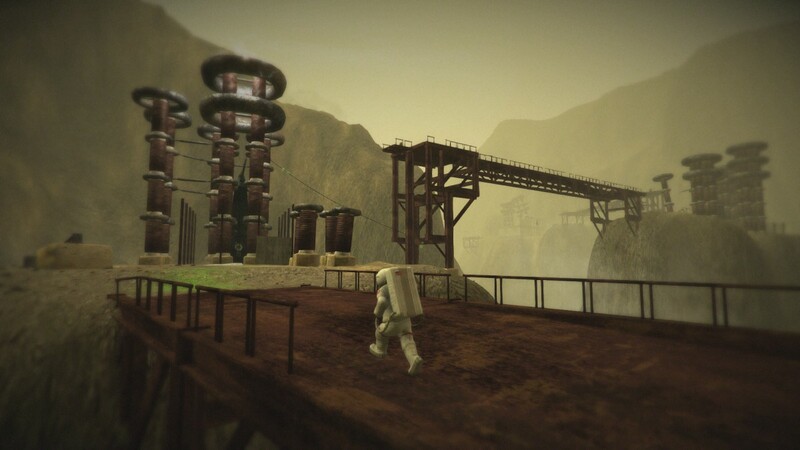 Lifeless Planet plays like a platformer – most of the time you’ll find yourself exploring the barren rocky lands, scaling precipitous cliff edges as you jump from platform to platform. It’s not just rocks you’ll be scaling though: there’ll be pipes, vines and even geysers to lift you momentously to high platforms. You’ll also be pushing rocks and obstacles around, using them to help scale higher areas. Between this you’ll be finding the occasional hidden collectible, plus in some cases you’ll be making sure your oxygen supplies are sufficient. I initially found the platforming awkward, but found myself warming to it. Whereas other games might give you a bit more freedom to manipulate your movement mid-jump, in Lifeless Planet you are committed to it. You jump, and you land. It can make the gameplay a bit more difficult, having to precisely line up every landing perfectly, but as the game goes on you find yourself appreciating its authenticity – landing these precise jumps will become second nature. It’s fortunate that the platforming is enjoyable as that’s what you’ll be spending almost all of the game doing. Whilst the environments in the game do change the actual gameplay pretty much stays the same, challenging you to simple get from point A to B. There are a few little puzzles on the way, none of which will strain your mind too much. There’s also a robot arm you find that is used in puzzles – admittedly though it’s use is so minimal and simple it almost seems like a pointless addition. Despite this, I never found myself bored during the 6 hours it took me to complete the game. 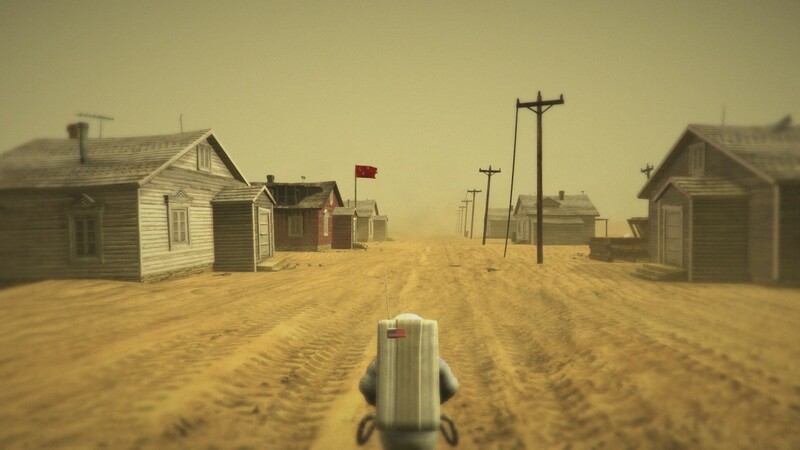 The graphics in Lifeless Planet aren’t outstanding, but certainly work effectively in conveying a barren place. Textures are quite bland and nothing ever really stands out. The bulk of the game is spent on the brown, murky planet surface but there are some occasions where you’ll venture into caves or forests where the game begins to show off some colour and a bit of life. There are some particular areas that stand out later in the game – of course, to save for spoilers I won’t go into detail about them. The quality is just a bit inconsistent. It’s nothing that ruins in the game though, and the game never actually looks ugly. One thing with the graphics that I really liked what the sense of scale. With the camera angle, the size of the areas and just the way the character models looked I really felt that I was exploring huge areas of a planet. The lack of a HUD really added to the vibe of the game too – there was a real sense of scale as I explored each area. Whilst some areas were very barren, it seemed almost realistic in a sense. It was something that I felt added a lot to the game. Lifeless Planet features great music that sets the suspenseful sci-fi tone. Sometimes there’s no music at all but it still manages to be very effective – in one moment there’ll be an ominous violin tune being played in the background, other times there is just silence, the whistling of the wind on the planet the only noise you’ll hear. There’s also a lot of sci-fi tunes in the game reminiscent of those you would hear in the classic sci-fi movies. They work really well and were really fitting to the tone of the game. It actually felt a relief to finally get the chance to play Lifeless Planet after being interested in it so long. Upon completing the game I felt a feeling of satisfaction too. I went into the game not fully knowing what to expect having only seen screenshots of the game in action. There’s not a lot of variety in the gameplay and at times the game could look quite bland. Still, I couldn’t help but to be impressed– especially considering the bulk of the game was developed by one person. Some environments were very impressive and making those precise jumps was very satisfying. I was never bored during gameplay and enjoyed unravelling the mysteries of the planet, even if the store was a little incoherent at times. I can’t see myself visiting Lifeless Planet again, but those 6 hours with the game were very well spent. I’m looking forward to seeing what comes next from a very talented developer. PreviousDRIVECLUB Playstation Plus Edition has finally launched!